Dr. Greene is a board certified OB/GYN by the American Board of Obstetrics and Gynecology. She earned her bachelor of arts in psychology from Emory University in Atlanta, GA, and her medical degree from Rutgers New Jersey Medical School. She then completed her residency in obstetrics and gynecology at Mount Sinai St. Luke’s and Mount Sinai West in New York City. This was followed by a fellowship in reproductive endocrinology and infertility at the University of Cincinnati, where she was awarded a prestigious T32 grant from the NIH for her research in endometriosis and environmental toxicants. She cares for couples challenged by infertility and women affected by hormonal disturbances. 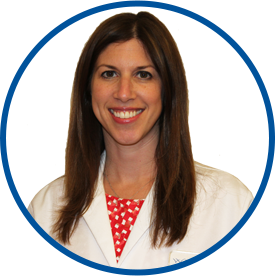 Her clinical interests include in vitro fertilization, endocrine disorders, fertility preservation, and reproductive surgery. Dr. Greene is a member of the American Society of Reproductive Medicine and the American Congress of Obstetricians and Gynecologists.